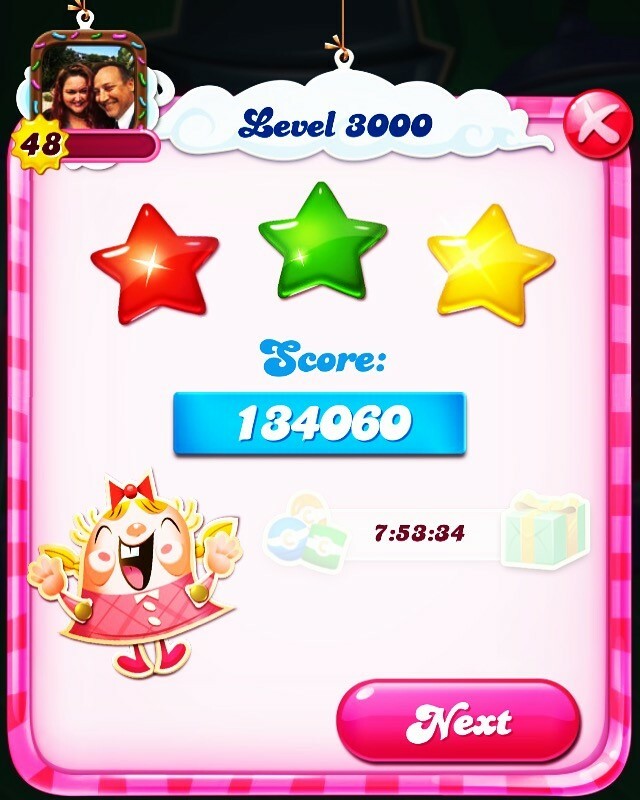 This morning I hit Level 3,000 on Candy Crush. 3,000! 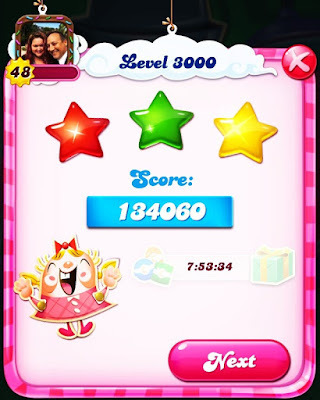 That's a LOT of levels! I'm not really sure if I should be impressed or horrified. Maybe a little of both.